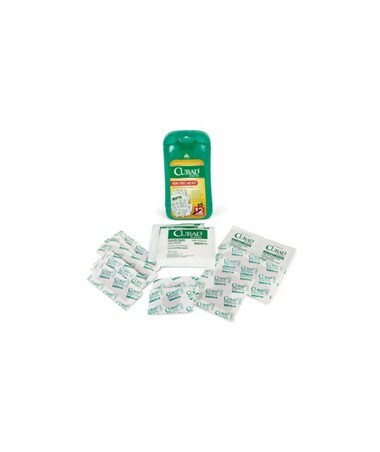 Curad's Mini First Aid Kit is the perfect size to take anywhere. It fits into a purse, backpack, gym bag or suitcase, and contains 15 essential Curad brand first aid items, including: latex-free bandages, gauze pads and alcohol swabs. They come in an inner tray pack with tear-away top for easy merchandising.